Adaptable – Ability to evolve as business changes. Accommodation, Versatility. Easy-going. Ability to adjust to client’s requirements and expectations. Able and willing to change. Ability to quickly change to meet the needs of our clients and the business environment. Genuine – Being open and honest. Sincere. Honest-to-goodness. Being sincere and considerate to our clients/customers questions or issues. Real, true to ourselves (keeping it real!). Honest and transparent. Experienced – Veteran of the industry. Skilled, knowledgeable. Know-how. Our overall combined knowledge and skills obtained working within the insurance industry. Knowledgeable personnel; gained through years with the company. Seasoned and competent. Dedicated – Committed to exceeding expectations. Devoted, loyal. Wholehearted. Our commitment to our company’s goals and customers. Strong loyalty/support to IAS and their appointed positions. Enthusiastically committed to our clients. Efficient – Making the most out of our time. Effective, cost-effective. Labor-saving. Developing internal processes to achieve maximum productivity within all departments. Ability to perform procedures/tasks in the best possible manner (just get it done!). Productive. Insurance Administrative Solutions (IAS) is a privately held Third Party Administrator, providing customizable end-to-end administrative solutions to companies in the Life, Health and Annuity industry throughout the United States. IAS manages both individual and group products and performs functions normally associated with a company’s home office operation. Our clients and business partnerships include insurance carriers, reinsurers, marketing organizations and actuarial firms. We collaborate with our clients on new product development and can often improve their bottom line results on existing products and closed blocks. IAS processes more than 3.5 million claims annually and employs highly skilled insurance professionals, who leverage the latest business tools and technology to optimize efficiency and ensure accuracy in all processes. Our clients achieve rapid entry to new markets and economies of scale with fixed capital costs to meet their budgets and timelines. IAS is HIPAA, ERISA, Gramm-Leach-Bliley Act (GLB), Office of Foreign Assets Control (OFAC), HITECH, Taft-Hartley, and SSAE 16 compliant. 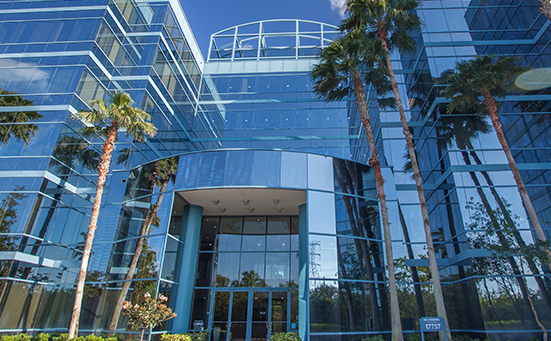 Our corporate office is located in Clearwater, Florida.